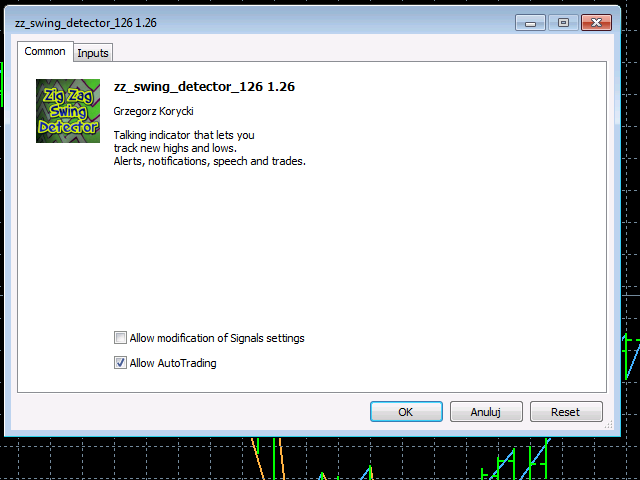 Zig Zag Swing Detector is a talking indicator tool, that let you track new highs and lows using Zig Zag patterns and allows you to react to new highs and lows. For example for uptrend each time there is higher hi spotted, the strength of the trend is increased. Trend is ended with lower low than the previous one. Be notified by Alerts, Speech and Notifications and be alerted about new highs/lows! 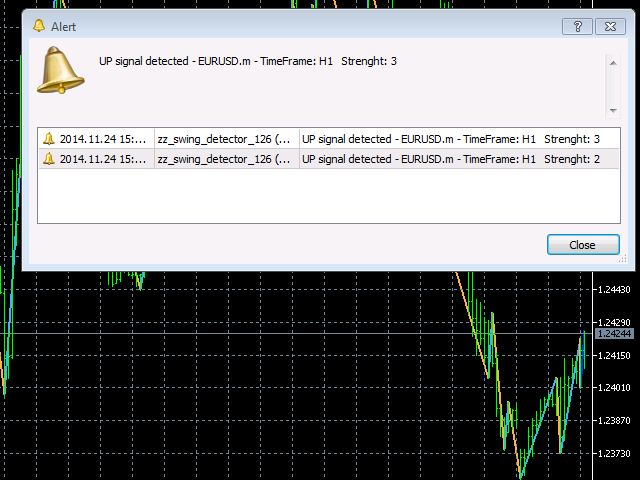 You can also setup conditions to open trades automatically on new heights. 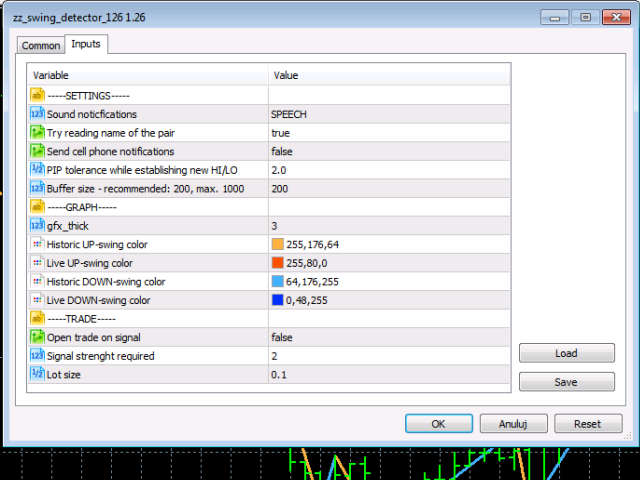 Speech synthesis allows you to hear trend direction, pair, time-frame and signal strength in 2 languages - English and Polish. More languages planned for the future - Russian and German. While drawing Zig Zag the Indicator counts bars as relevant or irrelevant. Relevant are the ones setting new highs/lows, irrelevant are bars in between. If both new high and low are established, they are both plotted on the same bar in occurrence order. Please take a look at the video to understand mechanics or try it in back-tester. 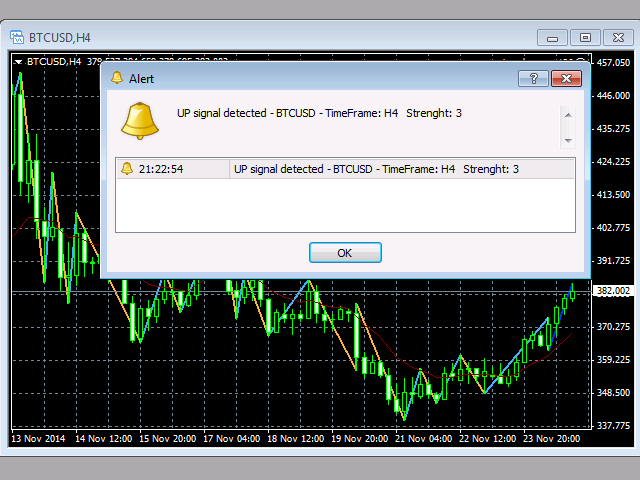 Tool is available for both MetaTrader 4 and MetaTrader 5.